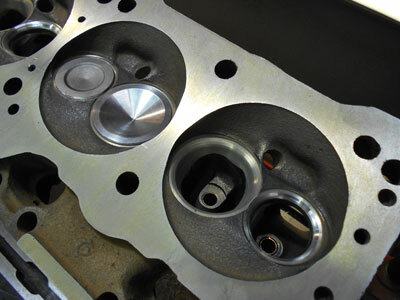 Cylinder heads are disassembled, and then cleaned both inside and out to remove all foreign matter. We perform testing by magnetic partial crack detection, pressure test the coolant jacket and vacuum test or visual inspection of the valves and seats. The head surface is cleaned and checked to ensure straightness and specification of thickness for allowance of resurfacing. Valve guides are inspected for wear and guides which do not meet the original OEM specs may be service by replacement, re-machined or sleeved. Knurling is not an acceptable repair. 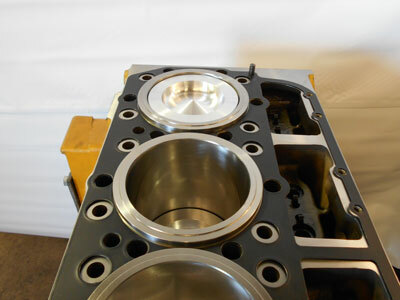 Valve seats are machined to retain the correct seat angles, widths, and valve heights. When seat recession is beyond limits new seat inserts are installed. Valve face is re-machined and stems, keeper grooves, tips and valve margins are inspected and valves that do not conform to specifications are replaced. Cylinder head components, keepers, springs, retainers, rotators, etc. are inspected for serviceability and replaced where necessary. Fuel injector sleeves are cleaned and checked and when appropriate replaced and machined to specifications. Pressure testing is then performed to verify sleeves are correctly sealed. 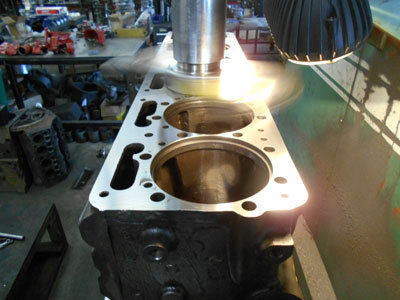 Cylinder heads with overhead camshafts will have camshaft bearing installed when bearing is worn or damaged by heat. Install pistons onto press fit rods. We specialise in machining all types of flywheels including stepped, flat and recessed flywheels. 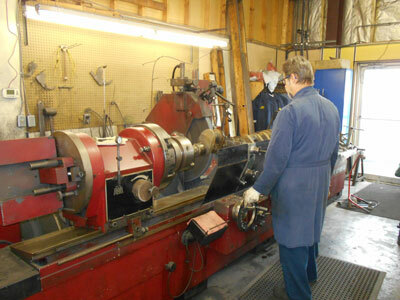 We can machine flywheels for vehicles ranging from small cars to large trucks and tractors. 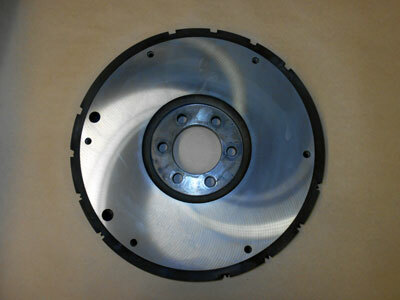 For both safety and warranty reasons it is important to machine your flywheel before installation of a new clutch. Before machining the flywheel, our staff will source manufacturer specifications and carefully inspect for heat cracks and run out or warping. 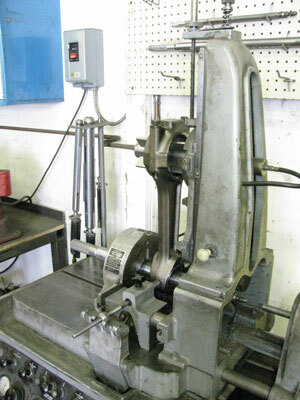 Flywheel dowels will be removed and replaced after machining is completed. Dowels ensure proper alignment of clutch. We can replace ring gears with damaged, worn or missing teeth.